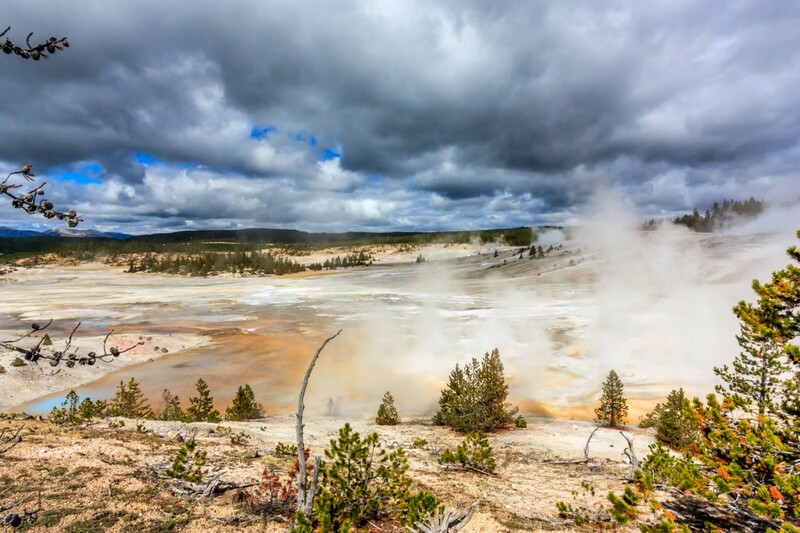 Yellowstone’s most famous geyser is Old Faithful, but it’s hardly the only, or even best geyser in the park. 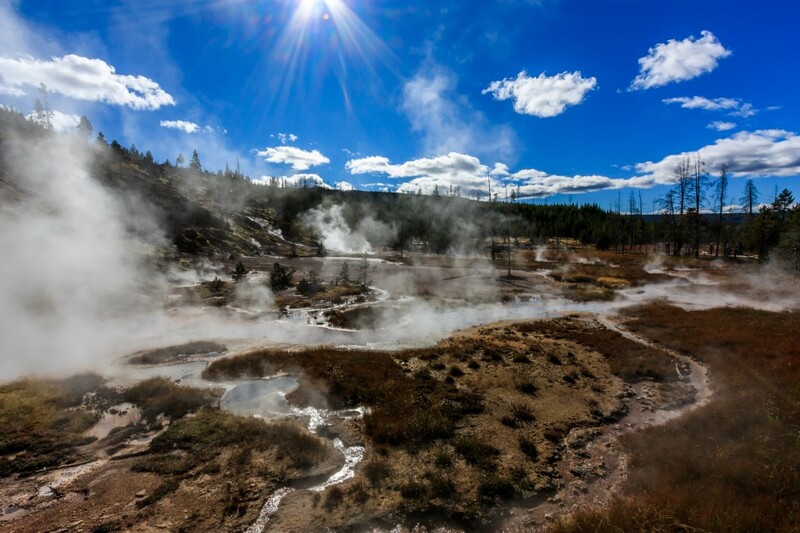 There are several basins full of geysers, vents, fumaroles, pools, and all sorts of other strange thermal features. 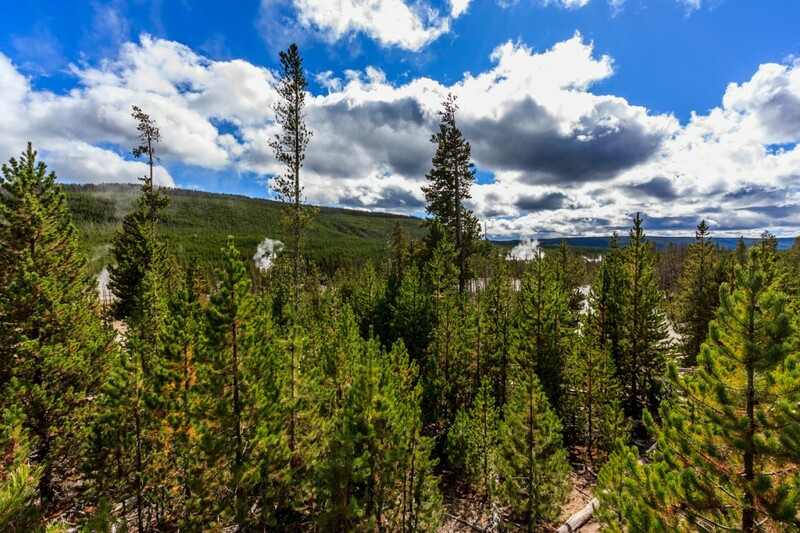 One of the best is the Norris Geyser Basin. It’s a strange, barren landscape where nothing can grow because of the sulfur. 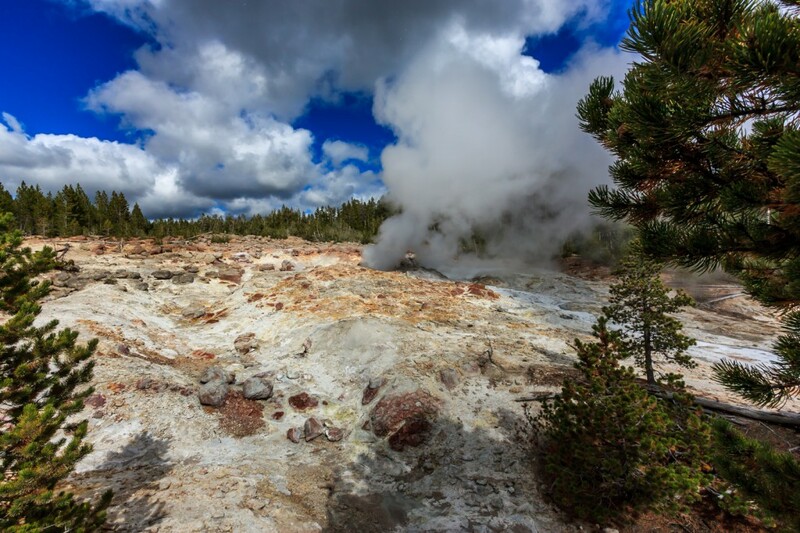 Lifeless grays of mineral deposits contrast with bright greens, oranges, and reds of bacteria that only lives here. The steam from vents is everywhere. 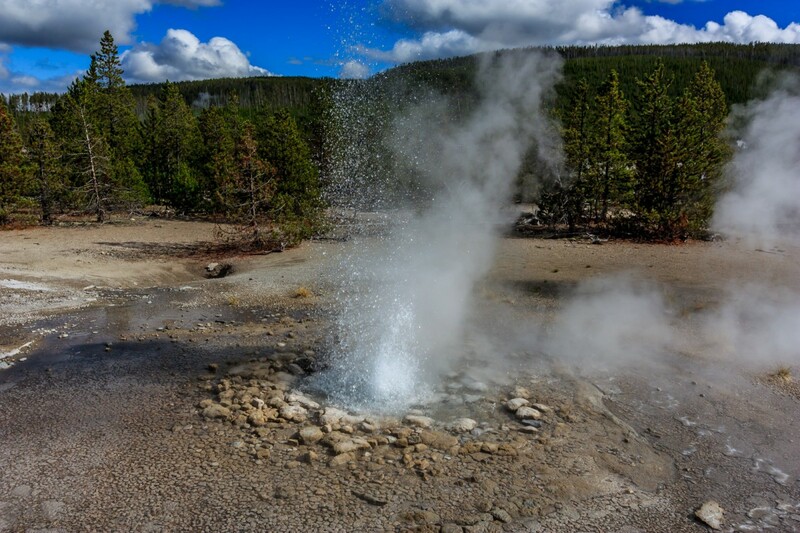 Seeing geysers erupt is tricky. 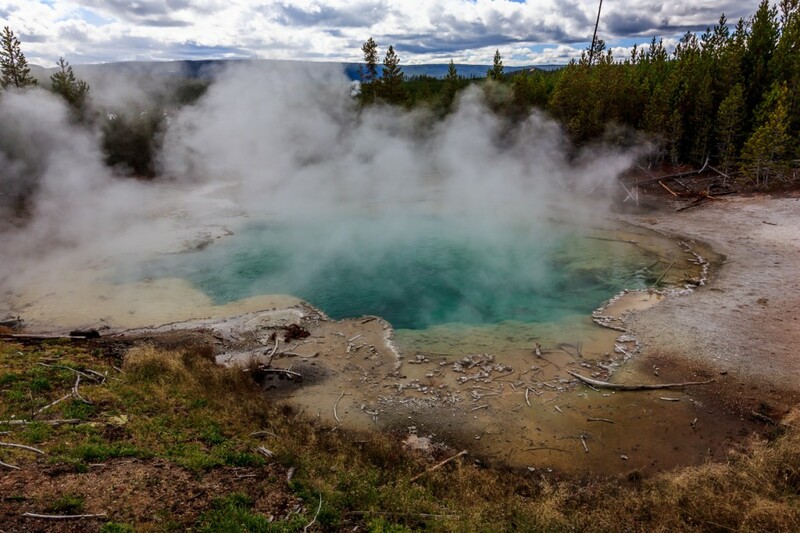 Old Faithful is easy to see, but the other geysers tend to not stick to their schedules. I waited forty-five minutes for one that was scheduled to erupt in the Old Faithful area before I had to go and look for a camp site. Here I got lucky and happened on one erupting. It was a small geyser, but it was still fun to see. Rangers give frequent talks here on a geyser that unexpectedly had a major eruption recently in the middle of the night. In all the parks I visited, ranger talks are always worth attending. I love how they always have a personal story to tell. And I love how the talks are free and non-commercial. The rangers represent the National Park Service at its best.